Clear each board and uncover real-life facts. 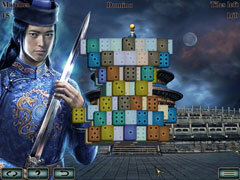 Take in the beauty of intricately drawn scenes as you clear each mahjong board and explore captivating temples. World's Greatest Temples Mahjong is chock full of exotic beauty, clever power-ups and real facts about the world's seven greatest temples. Become a temple expert while trying your hand at all seven different types of mahjong. 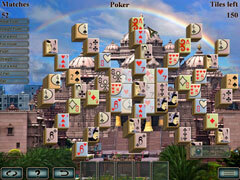 With 140 layouts, even mahjong lovers will find something brand new in World's Greatest Temple Mahjong.